[SatNews] Iridium Communications Inc. (Nasdaq:IRDM) has announced four industry-leading, value-added manufacturing partners that will design, manufacture and distribute products compatible with Iridium Certus broadband, the company's next-generation broadband service. Iridium Certus will leverage the enhanced capabilities of Iridium NEXT to deliver versatile, enterprise-grade, reliable communications, anywhere and everywhere in the world. This announcement represents another step in Iridium's long-term, strategic plan to team with manufacturers to make available a new set of services and capabilities through the launch of Iridium NEXT, the company's next-generation satellite constellation, which is scheduled to begin launching in 2015. Cobham SATCOM, which develops, manufactures, sells and supports satellite and radio communication terminals and earth stations for land, marine and airborne applications, and whose products and services are used to satisfy the needs of a wide variety of commercial, governmental and recreational applications. 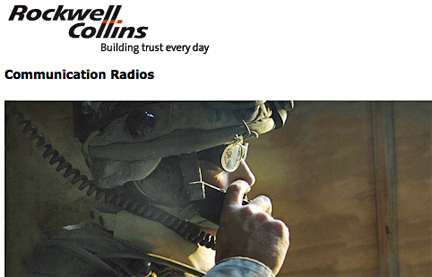 Rockwell Collins, a pioneer in the design, production and support of innovative communication, aviation electronic and information management solutions for aerospace and defense customers. L-3, a prime contractor in aerospace systems and national security solutions, and a leading provider of a broad range of communication and electronic systems and products used on military and commercial platforms. 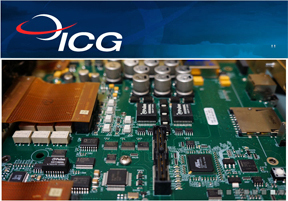 ICG (International Communications Group), an industry leader in the design, development and manufacture of next-generation communications systems and solutions for the general aviation and air transport industries. Iridium will provide Iridium Certus manufacturing partners with the core satellite communications technology, leveraging decades of experience and advanced digital processing and radio frequency (RF) design. Initial products from these manufacturing partners are expected to be commercially available as soon as late 2016, following the availability of prototype transceivers from Iridium in second quarter 2015. Iridium will also assist these partners' development efforts with technical support and testing services, as well as terminal reference designs. These terminal manufacturers represent an evolution of Iridium's long-term strategy with regards to development and distribution for products. Iridium believes it will stimulate more innovation and diversity of solutions through Iridium NEXT by licensing key manufacturers to create more of the terminal products that are sold through its distribution channels. Additionally, Iridium plans to announce the service providers who will be qualified and approved to sell and distribute Iridium Certus broadband services to the aeronautical, maritime and terrestrial markets later this year. "We are proud to be teaming up with these companies, which represent the best-in-class in their respective industries," said Matt Desch, CEO, Iridium. "Iridium remains committed to our wholesale distribution strategy, and with Iridium Certus broadband we will be working in close collaboration with--not in competition to-- these manufacturing companies. Together, we will be able to deliver the first broadband products and services that truly meet the business-critical communications needs of individuals and organizations in the air, on land and at sea who need to reliably share data no matter where they are on the globe." Derived from the Latin word "certus," which means "certain and sure," Iridium Certus will be an enterprise-grade mobile satellite broadband service, with the reliability and versatility to operate as a standalone solution or complementary to VSAT terminals. The service is expected to support a portfolio of partner products with a broad range of data speeds eventually as high as 1.4 megabits per second for a single user terminal after Iridium NEXT deployment is completed. Iridium plans to seek certification of Iridium Certus terminals for maritime and aviation safety services. The Iridium Certus service is coming at a critical time. Demand for satellite broadband is rapidly expanding, and a recent Northern Sky Research forecast shows wholesale mobile satellite broadband service revenue will increase three-fold over the next decade to over $5 billion annually, of which L-band—the frequency band of Iridium Certus—will constitute one-third. "Iridium Certus broadband is well positioned to capitalize on this growing marketplace based on Iridium's unique network, versatile service offering, and best-in-class manufacturing partners," said Bryan Hartin, Executive Vice President, Sales and Marketing, Iridium. "With the enhanced throughputs and network capacity afforded by the Iridium NEXT constellation, Iridium will have the full suite of attributes necessary to truly compete in the broadband market, satisfying all the requirements for aviation, maritime and terrestrial solutions. Like the current Iridium® constellation, the Iridium NEXT system will cover 100 percent of the globe, including polar regions, and its mesh architecture will be less susceptible to inclement weather and interference that impacts other systems. This reliable, global coverage is necessary for critical communications. 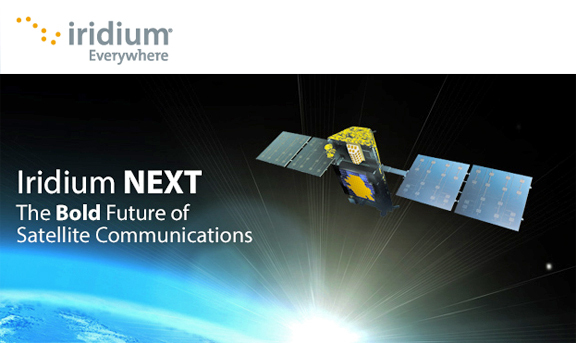 For more information on Iridium NEXT, please visit www.iridium.com.